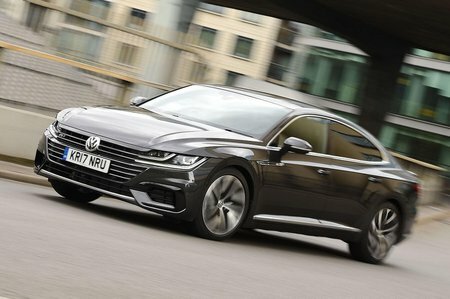 Volkswagen Arteon 2.0 TDI 190 R Line 5dr DSG 2019 Review | What Car? What Car? will save you at least £5,150, but our approved dealers could save you even more. This sportier trim adds larger 19in alloy wheels, rear privacy glass, contrasting seat stitching with carbonfibre-effect seat trim and R-line styling details inside and out.